It’s March and the days are finally getting longer and lighter, which means no more waking up in the dark! Trees are blossoming, birds are chirping and spring is poking its way out of the soil. And on that happy note, our Bucket List project to help others #LiveALittle continues… This month, we decided to treat two ladies who’ve been friends forever. We started talking with Sarah and Donna, and discovered these established bloggers were lifelong friends who stay in regular contact, despite living in Lancashire and Essex respectively. Both are continually busy with work, family and blogging obligations, yet they still find the time to meet regularly in London and experience something new together – that’s friendship! So we decided to make their meet-up in the capital even more special, by offering them the chance to tick not just one, but two unforgettable experiences off their respective bucket lists: The View from The Shard and a Champagne Afternoon Tea at Sofitel London St. James. Meet Sarah. 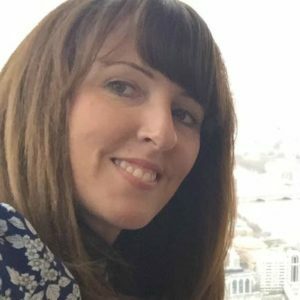 Sarah’s blog is well-known with a loyal following and covers a wide range of subjects, from cooking to blogging events to international travel, as well as the exciting ‘chaos’ that is her busy life (with a doting husband and two boys aged 11 and 16). No two days are the same in her household, as her family and blog grow side by side, and this is the inspiration for the her blog’s name: extraordinarychaos.com. Meet Donna. Donna is also a wife and mother to two boys aged 11 and 16, as well as two loveable dogs she fondly describes as “crazy”. Like Sarah’s, her blog documents not only those small yet meaningful moments in the day-to-day life of a busy family, but also subjects ranging from crafting to photography to travel. And with holiday homes in France and Spain, there’s plenty of the latter! Her blog is titled likelovedo.com, a sentiment that’s right up our street. Boasting an incredible 95 stories and reaching over a thousand feet into the sky, The Shard is not just the UK’s tallest building, but the fourth tallest in Europe; this striking building was designed by controversial Italian architect Renzo Piano and opened in 2013. 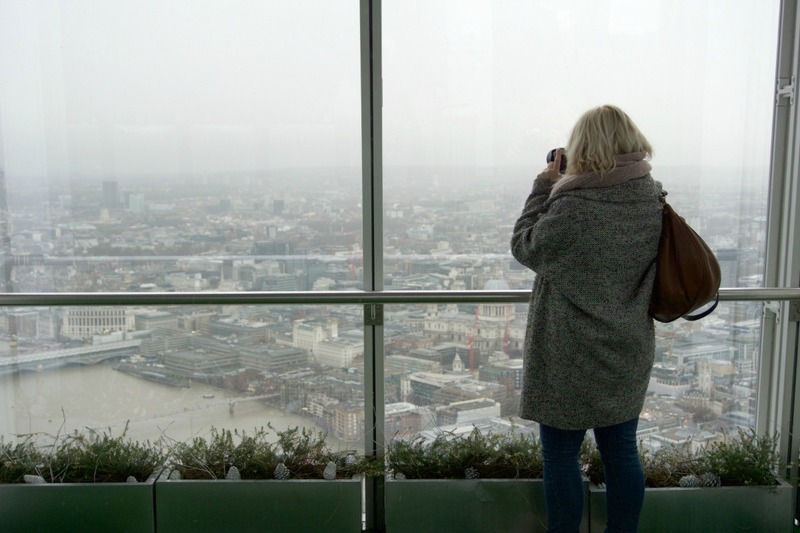 The viewing gallery and observation deck are ‘only’ on the 72nd floor, but offer gorgeous views over London for up to forty miles around when skies are clear and the weather is good. Which, unfortunately, it wasn’t when Donna and Sarah met. In fact, they narrowly missed Storm Doris – but they still got some great pictures! Both were impressed with the lifts, which are famously fast and decorated with scenic projections of the London skyline; at the top, the panorama was breathtaking despite the clouds and a variety of interactive displays and gadgets helped them identify and learn more about visible landmarks. 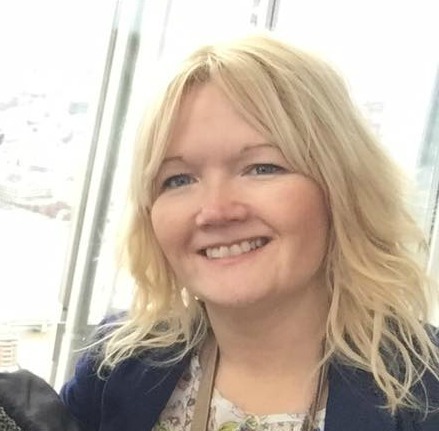 As part of their View from The Shard experience, they were each served a glass of champagne to sip as they admired the views, and happily chatted away whilst looking down over attractions including HMS Belfast and The Tower of London. Then it was time for afternoon tea, with more champagne! A quick tube journey found them at The Sofitel London St. James, on the corner of Pall Mall and Waterloo Place. Set in a beautifully renovated Grade II-listed building, this five-star luxury hotel blends turn-of-the-century British style with a dash of French elegance to great effect. 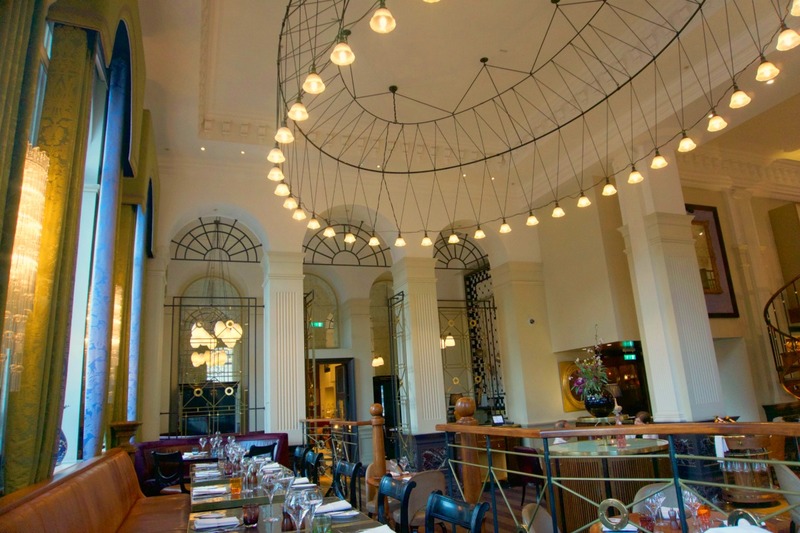 It’s not just known for its amazing accommodation and hospitality, though; its restaurant The Balcon is also a renowned foodie destination, and this is where our bloggers enjoyed a Champagne Afternoon Tea for Two. Take a look at some of the treats they enjoyed below! This experience is perfect for a wine buff or a lover of luxury and indulgent experiences. Reach the heights of The View from The Shard whilst sipping a glass of champagne at such a breath taking location. All in all, it looks (and sounds) like it was a day to remember – and we’re very happy that they’re happy. To see more about their trip and what it’s actually like to climb The Shard and eat at The Balcon, check out Sarah’s Vlog of the day! Next month’s Bucket List will be a little different… and include one of the world’s most famous trains!